Businesses are swimming in a pool of data and to fish out business intelligence, they need the right tool at the right time to steer their ship to success. They facilitate improved decision making by enabling users to access and analyze data in an efficient and intuitive manner. Using BI tools, data savvy business-people have access to information from any combination of sources, whenever they need it. Business personnel having the skills of using the tools can rapidly transform raw data into engaging reports, charts, graphs etc. The best BI tool enhances user productivity and enables them to maintain a high-degree of self-sufficiency. Among the myriad BI tools available, QlikView is a highly flexible business intelligence tool used for converting data into knowledge. Around 24,000 organizations worldwide have allowed users to search, consolidate and analyze data for unprecedented business insight with the help of QlikView. With a clean, simple and straightforward user interface, this BI tool brings new level of analysis, insight and value to existing data stores. Right information should be easily available and accessible to businesses for effective decision-making. The automatic association of QlikView creates endless possibilities for making ad-hoc queries without requiring tediously defined structures and hierarchies, as it is the case with other data analysis tools. QlikView provides endless possibilities of making ad-hoc queries in a non-hierarchical data structure due to Associative Query Logic for automatically associating values in the internal QlikView database. This BI tool simplifies analysis and makes it possible for everyone to create useful, accurate KPI, measurement reports and performance dashboards to take accurate, strategic and time saving decisions. QlikView provides deep insights to users by explaining data association and unrelated data. Both direct and indirect searches across all data can be conducted anywhere in the application. QlikView also offers guided exploration, discovery and collaborative analytics for sharing insights. Besides, the program enables users to build and deploy analytic apps without any professional development skills, help generate faster response to change business requirements and to have more insight of an organization. The tool has an inference engine to automatically cultivate data associations and it consolidates data from multiple sources to provide centralized data for high level reporting. The intuitive click through dashboards makes it easy for non-IT professionals to understand hidden trends. User access and control is administered by the application through the web-based management console. The use of a business intelligence software like QlikView is beneficial in a number of ways and its benefits far outweigh the investment incurred upon it. 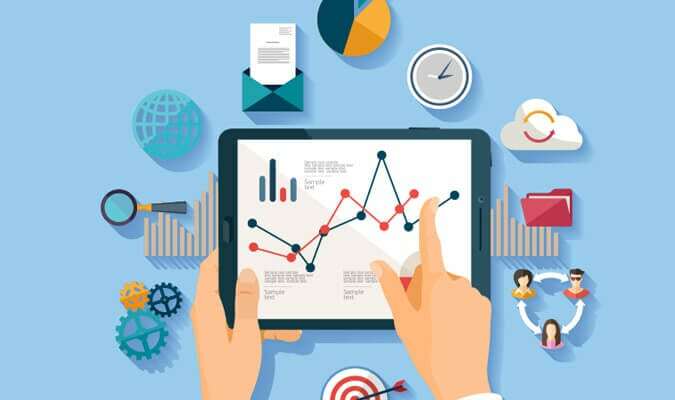 Right from helping businesses achieve valuable insights to obtain effective growth to resolve pressing concerns to quickly collate marketing data to impart a real time view of the organization, the software enables businesses to anticipate future outcome by using forecasting and predictive analytics. Syntelli can help you get quicker insights, explore and understand your data with powerful dashboard visualizations and BI reporting.